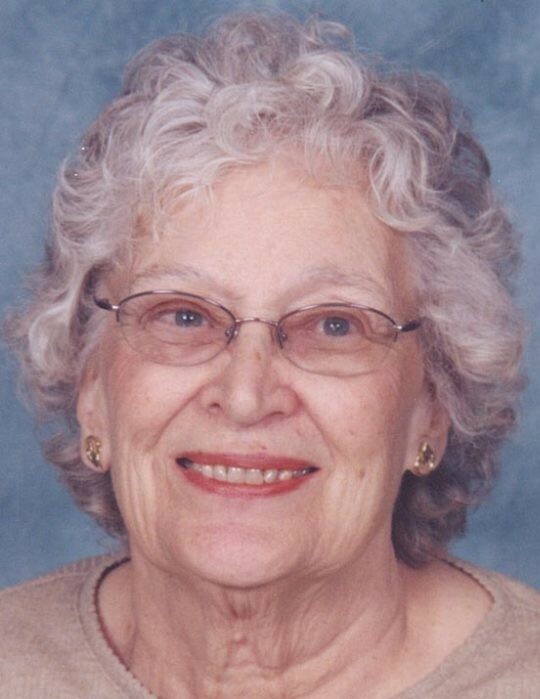 Cobleskill-Winifred M. Blair, 87, Jersey Lane, died Friday, March 29, 2019 at Palatine Nursing Home, Palatine Bridge. She was born April 7, 1931, in Flushing, NY and was the daughter of William J. and Winifred (Kilbridge) Quinn. Winifred was an early female small business owner as a proprietor at Cheese ‘N Things in Riverhead, New York. . She was a personal chef to former New York State Governor Hugh Cary. After moving upstate to Seward, she worked as a Long-Term Care Ombudsman for Schoharie County. Winifred was a member of the Eastern Long Island Quilter's Guild. Along with quilting her hobbies included sewing and cooking. She is survived by her husband, Robert L. Blair, whom she married on August 5, 1951; two sons, Robert W. (Joan) Blair of Sayville, NY and Thomas M. (Cesar Maquerhua) Blair of Center Point, NY; one daughter, Loretta Blair of Cobleskill, NY; one brother, William J. Quinn of Richmond Hill, NY; four grandchildren, Robert F. Blair of Sayville, NY, Christopher Hawkes of Celina, TX, Matthew Hawkes of Celina, TX, and Abigail Patulski of Cobleskill, NY; and one great-grandson, Henley Johanson. A Mass of Christian Burial will be celebrated at 10:30 AM on Monday, April 1, 2019 at St. Vincent de Paul Church, 138 Washington Ave. Cobleskill. Family and friends are invited to a period of visitation to be held at the church from 9:30 to 10:30 prior to mass. Burial will be at 10AM on Tuesday, April 2, 2019 at Pinelawn Memorial Park, Farmingdale, NY. Arrangements have been entrusted to Mereness-Putnam Funeral Home, 171 Elm St. Cobleskill.